Paul Sokol is an electrical engineer by trade and the Campaign Builder Mad Scientist at Infusionsoft – a moniker earned due to his breadth of knowledge. His first experience with Infusionsoft was when he co-founded jiveSYSTEMS, a business-class video email platform, in 2008 while obtaining his Masters degree in signal processing from the University of Central Florida. The company still exists today and is successfully running very efficiently thanks to the automation capabilities of Infusionsoft. 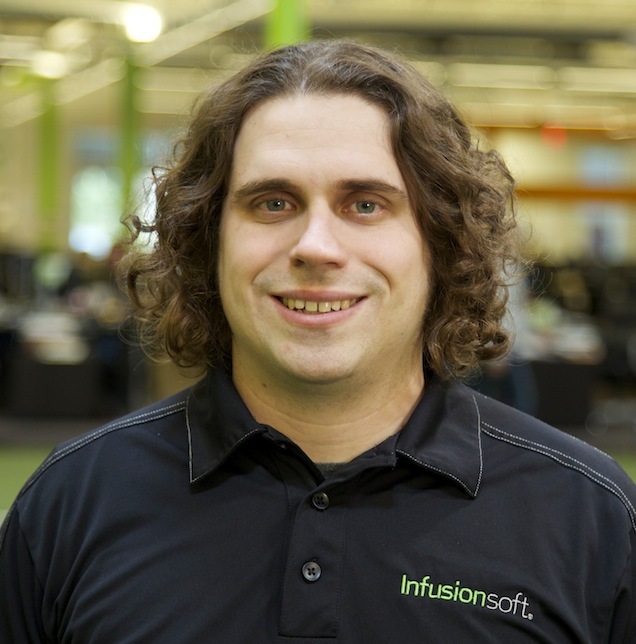 Since joining Infusionsoft formally as an employee in June 2011, he has provided over 1,000 hours of small business consulting and helped launch 200+ clients with Infusionsoft. He has authored the InfusionSoft Cookbook and numerous blog posts, been a guest on many webinars, and taught from stage at live events such as Infusionsoft’s annual ICON. Currently, he works on the Small Business Success Method team as a Success Expert. When he isn’t working or running his charity Keep Children Rockin, he can be found drumming in the local black metal band Elivagar and growing the Arizona heavy metal scene. Realizing that most of the process he was following could be automated with the tools he was selling, saving many minutes each time. S.T.A.C.T.S. (Strategies, Tactics, Assets, Contents, Tools, Skill) approach to system implementation.